Airbus Military has been awarded a contract to deliver five additional C295 tactical transport aircraft to the Polish Air Force, to help expand its transport capabilities during national and international operations. The additional aircraft will expand the Polish C295 fleet to 16 aircraft, as reported by Flight Global. The first two aircraft under the PLN876m ($262m) contract will be delivered by the end of this year, while the remaining three are scheduled for delivery in 2013. Airbus Military CEO Domingo Urena Raso said the company has a very close relationship with Poland through its Polish subsidiary and is looking to further expand its geographical footprint in Poland. ”The C295 is working extremely well with the Polish Air Force and we are proud to have a further vote of confidence from our customer with this new order for a further five aircraft,” Raso added. 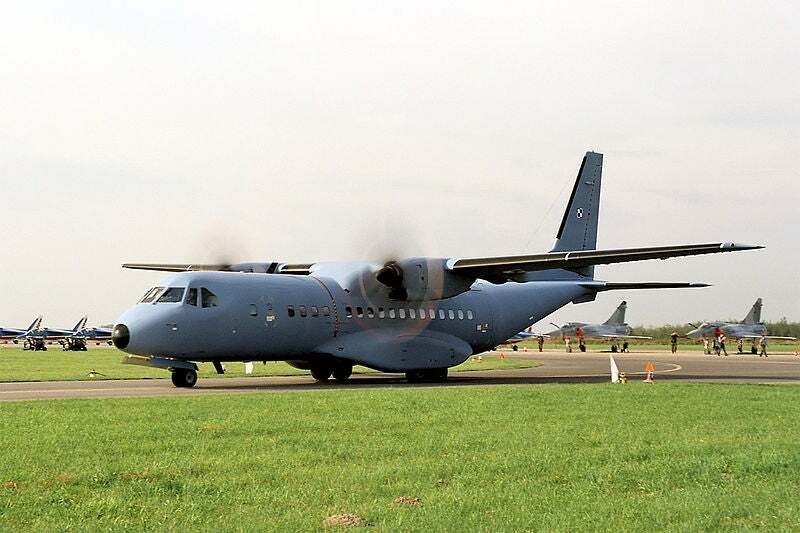 The Polish Air Force took delivery of an initial batch of eight C295s between 2003 and 2005, followed by additional four in 2007 and 2008, to replace its fleet of Antonov An-26 transport helicopters. One aircraft was lost in accident in January 2008, while the remaining 11 are operated by the 8th Air Transport Base at Krakow-Balice, with one permanently deployed in Afghanistan to conduct transport, airdrop and medical evacuation missions. Developed from EADS CASA CN-235 aircraft, the C-295 is a twin-turboprop tactical military transport aircraft designed to carry out a range of operations, such as tactical airlift, search & rescue (SAR), and maritime patrol and environmental surveillance missions. In addition to Poland, the C295 aircraft are operated by 12 different operators worldwide, which include Algeria, Brazil, Chile, Colombia, Egypt, Finland, Jordan, Portugal and Spain. Image: A Polish Air Force’s C-295 transport aircraft at 2005 Radom Air Show. Photo: courtesy of Przemyslaw BlueshadeIdzkiewicz.